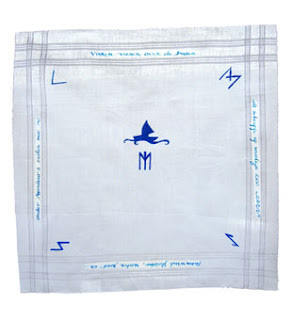 This handkerchief was made for Kees Rutten, who is prone to making dangerous sea voyages. The runes in the corners phonetically spell his name and the rune symbol under his ship is one for safe journeys. als scheepje op woelige zee.